Senior BJP leader and state minister Girish Mahajan had suggested the use of a feminine name to boost liquor sales at an event. MUMBAI: Taking a swipe at the Maharashtra government, the Shiv Sena today said it was sensitising people about the ill-effects of alcohol consumption while its minister suggested that feminine brand names would boost liquor sales. The NDA constituent said it was shocking that a minister made such comments when women in the state had been holding regular protests against the sale of liquor. Senior BJP leader and state minister Girish Mahajan had suggested the use of a feminine name to boost liquor sales at an event organised by a sugar mill in North Maharashtra's Nandurbar district Saturday. On Monday, he apologised for his comment, saying he didn't mean to hurt women's sentiments. "It is ironical that the Maharashtra government organises events to sensitise people about the ill-effects of liquor consumption, changes law for the same and a minister of the same government gives advice for increasing its sales," the Sena said in an editorial in its party mouthpiece Saamana. The state has witnessed social change over the last decade, it said. The licence to sell local liquor could be cancelled if majority women of a particular village passed a resolution against it, the Sena noted, wondering whether Mahajan was aware of such a movement. 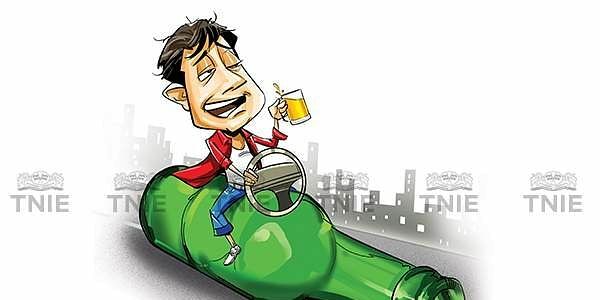 "You (Mahajan) may not be able to talk against liquor because of its heavy revenue generation (for the state) but (the minister) should avoid giving out such marketing tips," the Sena said. "It seems that Mahajan himself is charged up to increase the sale of liquor, which could be because of dropping revenue figures," it said. The Sena also referred to Prime Minister Narendra Modi congratulating Bihar Chief Minister Nitish Kumar for the decision to prohibit consumption, stocking and sale of liquor in his state. The ruling alliance partner said it was thankful to the Maharashtra government for not having a ministry for cemetery. If Mahajan headed such a ministry, he might have issued an advisory to increase deaths to boost the sale of items required for last rites, the Sena quipped. Mahajan had said at the event in Nandurbar, "As I was discussing the mill's issues with the management, I came to know that liquor sales are not picking up. I visited some of the major producers of liquor brands having names such as 'Bhingri', 'Bobby' and 'Julie', whereas this mill's brand name is 'Maharaja', how will it work." A video of his speech was uploaded on YouTube. "I suggest you change the name to 'Maharani', and see how sales shoot up. This is happening everywhere. Even (chewing) tobacco brand names are like that, for example 'Kamal', 'Vimal', 'Suman' and so on," the minister said. He then said, "I am not insisting on changing the name, but it is my suggestion. You may try it."